Suspect arrested for timber theft in Harrison County. Agency investigators arrested Edward Tom Williams, 59, of Longview, on a warrant for Theft of Property valued between $2,500 and $30,000. Williams was released on a $10,000 bond. In October 2018, investigators received a complaint near Hallsville in Harrison County. The complainant had agreed to a written contract with Williams to conduct a timber harvest but was not paid upon completion of the job. The case was delivered to Harrison County District Attorney Reid McCain. McCain presented the evidence before a grand jury ultimately securing an indictment for theft of property. Never sign a contract without checking several references for the buyer. 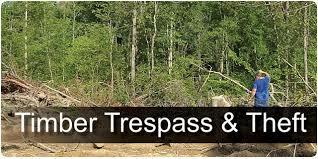 Mark all property lines to assure cutting on the adjacent property does not infringe on yours. For more information, please visit https://tfsweb.tamu.edu/lawenforcement/reporttimbertheft/.